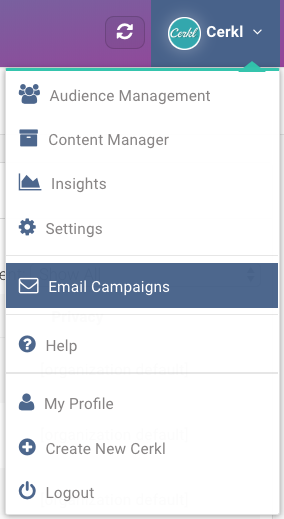 1) Select Email Campaigns from the menu. 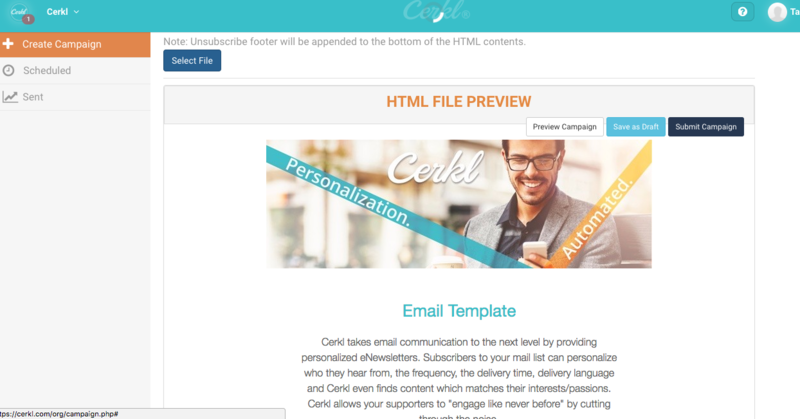 2) Scroll down to the Message field and select HTML file. 3) By selecting HTML File, you'll be prompted to select a file from your computer. 4) After uploading your email template, press "Submit Campaign." 1) You can’t use the HTML File option and Template Editor together. When using the HTML File option, the file you upload is what will be used. Any changes must be made in the external file and then re-uploaded with the Select File button. 2) Merge fields are currently available when using the HTML File option! This update was innovated by our partners.